The other day ago I got a fantastic email from a man named Curtis Berry. He had some things to say about my piece about picking cotton, and I am glad to share them with you. I am pleased whenever readers get engaged and offer their own experience and insight into what we talk about here on the blog! PLEASE follow his example and write in with your own stories, family history, family recipes, etc. Thank you Mr. Berry! Having read the above article of Mr. Twitty I agree with most of what he has written. However, as a person who has “BEEN THERE, DONE THAT” I feel compelled to use this opportunity to correct a couple of things. I am a Caucasian Male 77 years of age, retired Military, retired business owner (currently employed by Civil Service) who was born & raised on a cotton farm in Mississippi in 1936. I worked continously in the growing & harvesting of cotton from a VERY early age until I turned 18, graduated from High School & “ESCAPED” by joining the Military for a 20 year enlistment. Mr. Twitty states that a Bale of cotton weighs 500 bs. He is correct! A Bale of cotton DOES weigh approximately 500 Lbs., AFTER the cotton seeds have been removed from the lint by the Cotton Gin. It takes approximately 1,500 Lbs. of “RAW” cotton (seeds still in place) to make a 500 Lb. Bale of cotton (LINT ONLY). He states that a person picking 250-350 Lbs. of cotton per day could pick almost a bale of cotton per day. 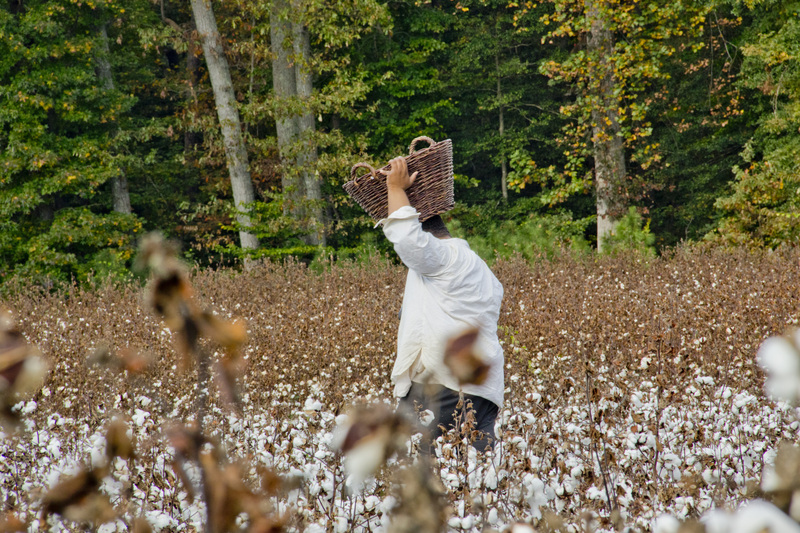 Actually, it would take 4 – 6 days for a single person to pick enough “RAW” cotton (1,500 Lbs) to make a 500 Lb. Bale of cotton.